The Athletic's Gene McCaffrey joins Scott Pianowski this week on the Yahoo Fantasy Baseball Podcast coming out of their Tout Wars mixed league auction draft over the weekend. They start the episode off with some general auction strategy (0:30) and how it pertains to pitchers like Max Scherzer and Jacob DeGrom (3:50). 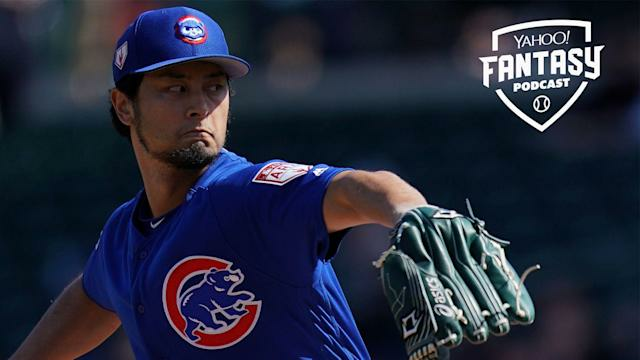 Yu Darvish is just one of the interesting fantasy options on the Chiacgo Cubs pitching staff (Getty Images). Scott wraps up the show asking Gene to draft his five most overrated musicians of all time (33:30). Bring some sunscreen because there are some hot takes.